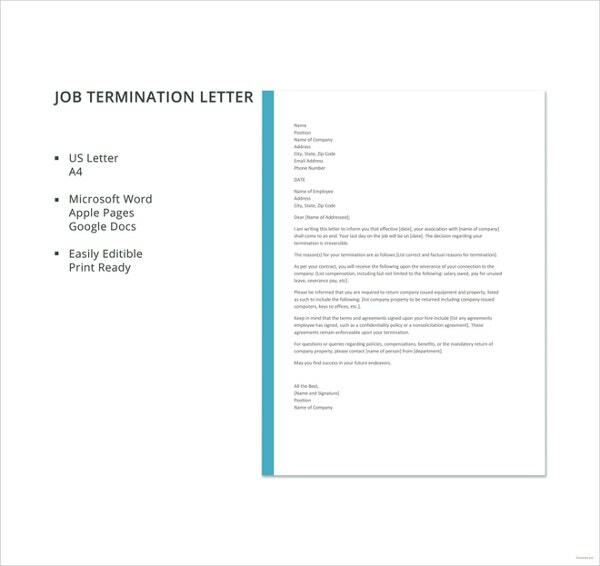 10+Job Termination Letters – Free Word, PDF Documents Download! Employees often quit their jobs for three main reasons: they feel they aren’t making any difference, late paychecks or lack of job satisfaction and motivation. As such, they may leave their jobs in two ways: go home and never show up the following day or quit their jobs professionally by writing job termination letters. An employment termination letter isn’t difficult to write, except you must keep in mind that the letter must be formal. 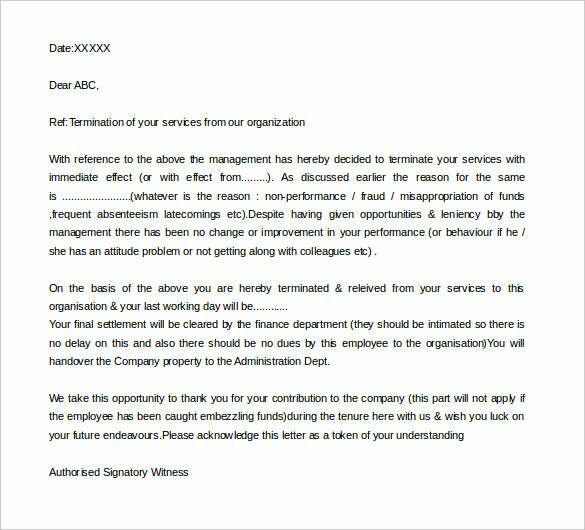 Many people often write termination letter examples but later regret why they did. So, unless you are sure you want to pen down your final words to the big boss at the company, you’d better not write this letter. 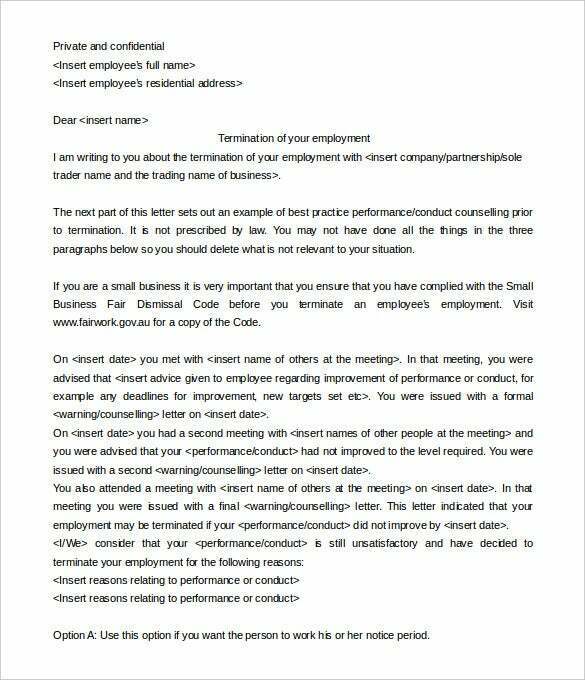 fairwork.gov.au | The job termination letter by employee download is a simple and well written pre created job termination letter template. Add all the details and your job termination letter is ready. 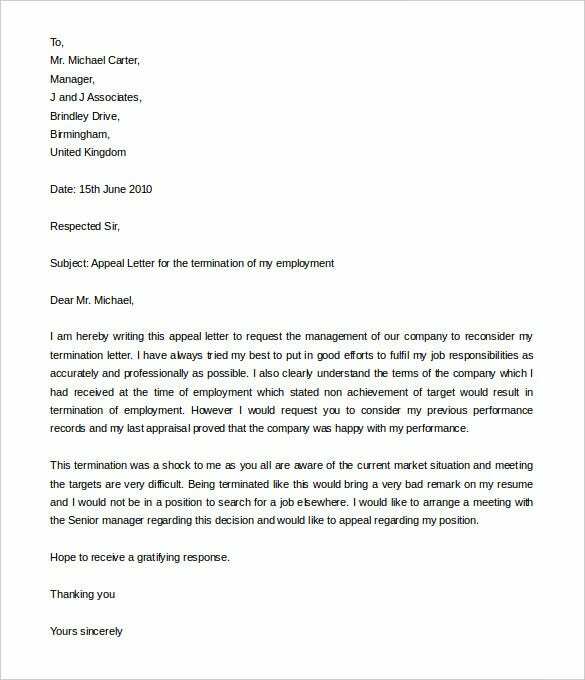 humanresources.about.com | The editable job termination letter to employer is a well drafted and excellently created job termination letter template which you can use extensively to terminate the job of the employees who are not working properly. 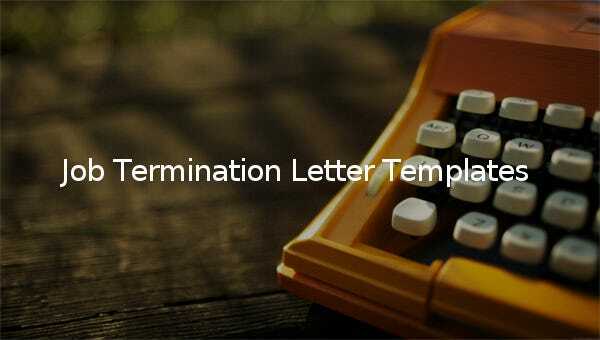 sampleletterz.com | If you have been terminated from your job, and you want to meet with the senior manager to appeal, then you should definitely use the job termination appeal letter word doc. 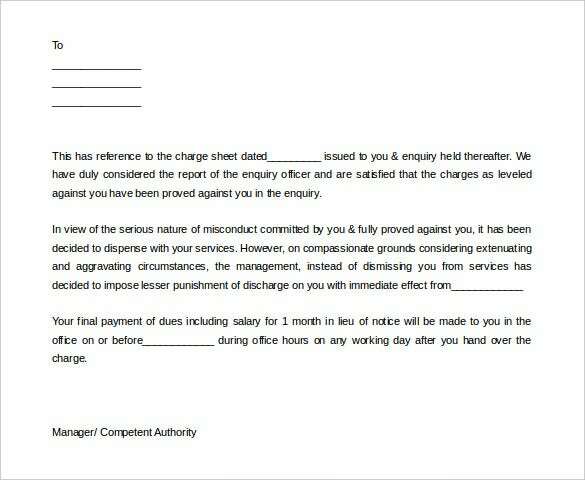 citehr.com | If you have found an employee sleeping during work hours, and want to warn him for his misconduct, then you have to use the sleeping on the job termination letter template printable. 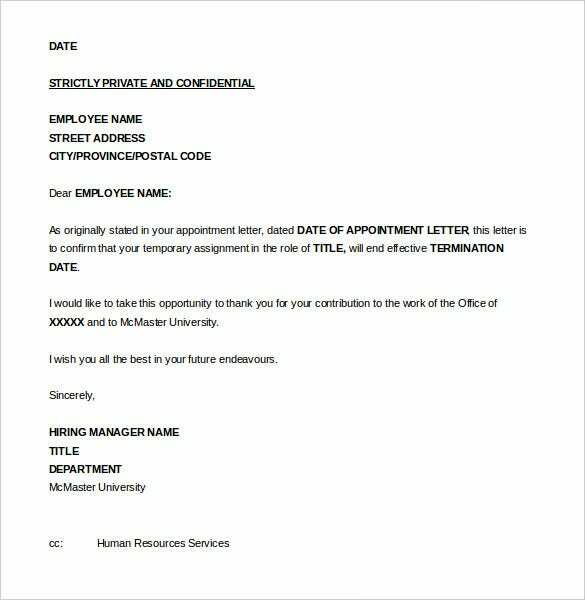 workingatmcmaster.ca | The seasonal job termination letter to employee word format is a simple and to the point job termination letter template that is used to thank the employee for his or her work at the seasonal job. 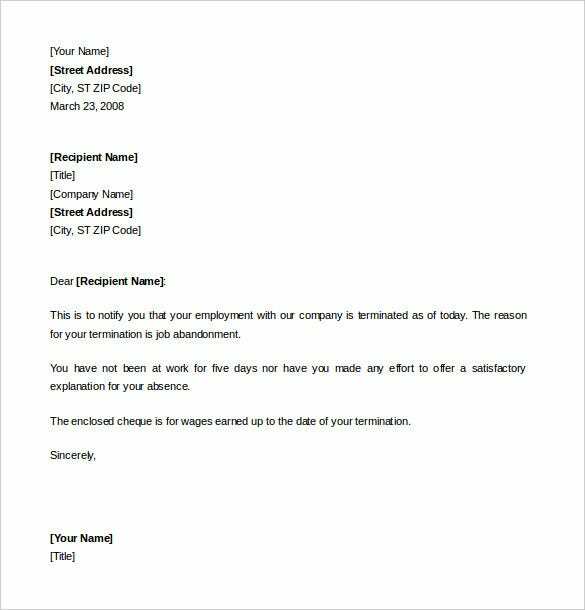 citehr.com | The notice of job termination letter template word download is a simple and well written job termination letter template that you can use to terminate the job of the person who is being punished for serious misconduct. 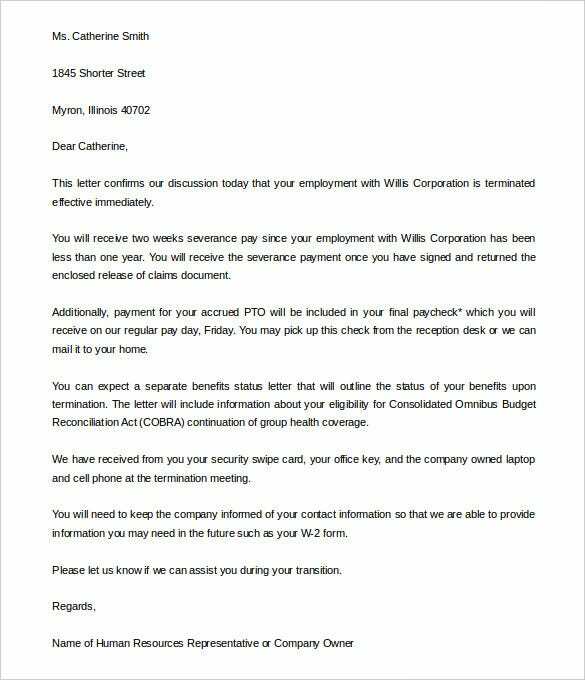 The how to write a job termination letter is a well drafted and beautifully written job termination letter template that will be the perfect guide to help you draft the perfect termination letter. 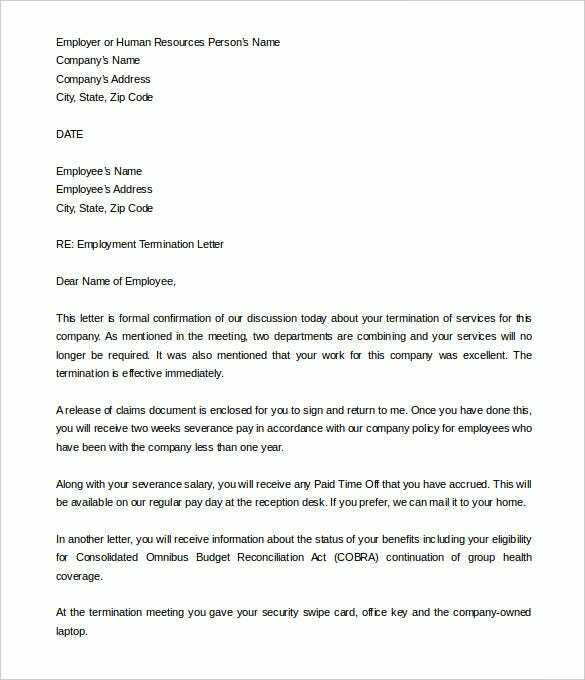 If you have to terminate an employee for not working the way he or she should and you are looking for a suitable job termination letter template, then you have to use the how to reply to a job termination letter. 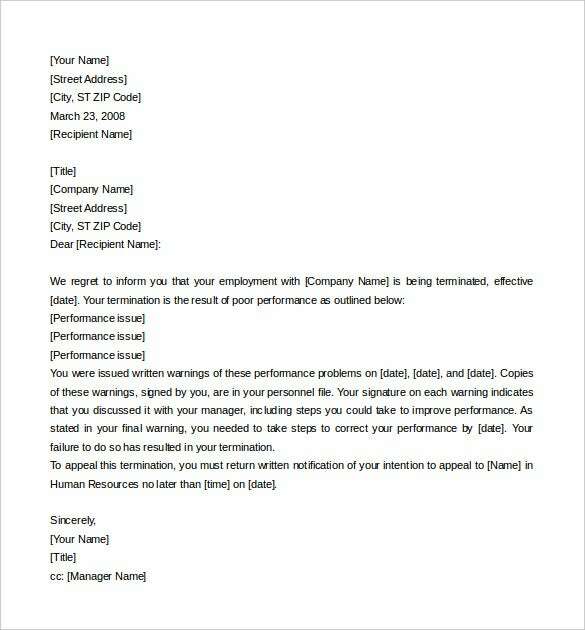 citehr.com | The job termination of employment because of poor performance is a simple and well drafted job termination letter template. Just add the important information and the letter will be ready. citehr.com | If your employee has abandoned his or her job and could not provide a satisfactory reason for absence, you should use the termination of employment because of abandonment printable to terminate the employee.